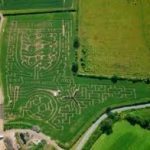 There is so much to do in Staffordshire you could spend all summer holidays doing, visiting, enjoying and seeing! . Here are a few ideas you may be interested in if you have already booked with us or are perhaps planning a short break at Heywood Hall. 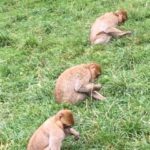 Trentham Monkey Forest : visit the Barbary Macaques roaming free in 60 acres of beautiful Staffordshire Forest. We have half price vouchers for a child with 2 paying adults. Also ZooZu on 19th August . Peak Wildlife Park: Blackbrook, Winkhill, Leek, Staffordshire ST13 7QR animal walk through to see Lemurs, Penguins, Meerkats & Wallabies. Astley Fest: 4th August a free fabulous fun day all to do with the circus in Lyme Valley Park Newcastle under Lyme Staffordshire. 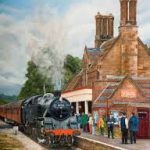 Churnet Valley Steam Railway: Froghall, Staffordshire ST10 2HA : Superheroes and Princesses on 28th and 30th July and Gin and Trains on 24th to 27th August. Uttoxeter Racecourse: Wood lane, Uttoxeter ST14 8BD : Ladies Day on 27th July and Big Summer Family BBQ on 29th July . National Memorial Arboretum: Croxall Road Alrewas Burton DE13 7AR: Summer Evening Proms on 4th August Uplighting music from The Royal Anglian Regiment. Just So Festival: on 17 -19th August at Rode Hall, Cheshire. 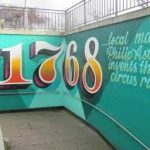 ( A fabulous imaginative outdoor adventure for young families showcasing best art music,literature, comedy & theatre for families). The Pet Show: at Staffordshire County Showground 18th & 19th August. and how laundry was done the Medieval way ! go to TamworthCastle.co.uk for more information . 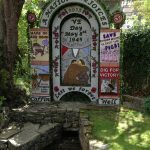 discover which villages are holding their Well dressing festivals.